Printing a spreadsheet can be frustrating. You spend a lot of time editing your data and getting the information that you want into the right cells, only to click the Print button and wind up with a mess. While Google Sheets does a lot of things right when it comes to printing spreadsheets, you might still find that you need to make adjustments to create the desired finished product. One thing that you may wish to do is fit your entire spreadsheet on one page. Simplifying data in this manner can make it much easier for your audience to absorb the data. 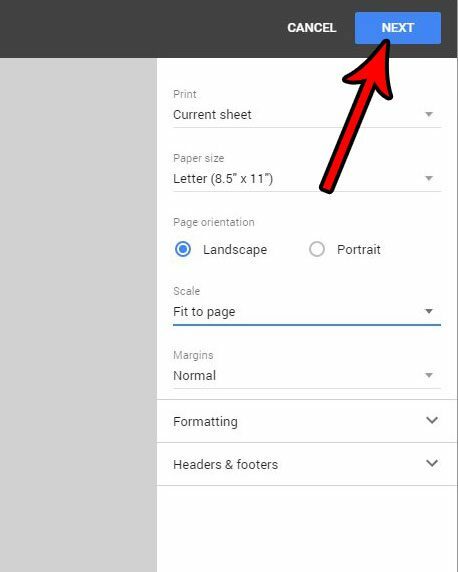 Our tutorial below will show you where to find the print setting in Google Sheets that lets you automatically fit all of your data on one piece of paper when you print it. 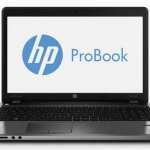 The steps in this article were performed in the desktop version of Google Chrome, but also work in Firefox and other desktop Web browsers. 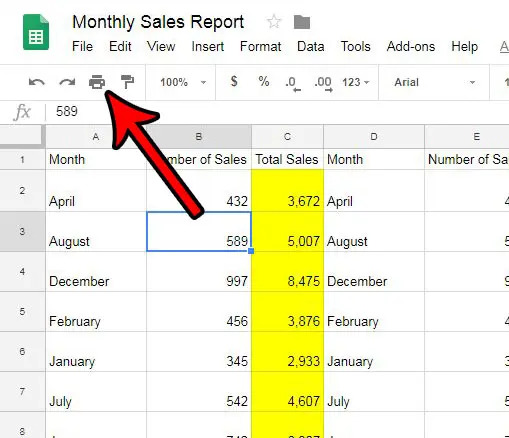 This guide will focus specifically on making your entire spreadsheet fit on one page when printed in Google Sheets. 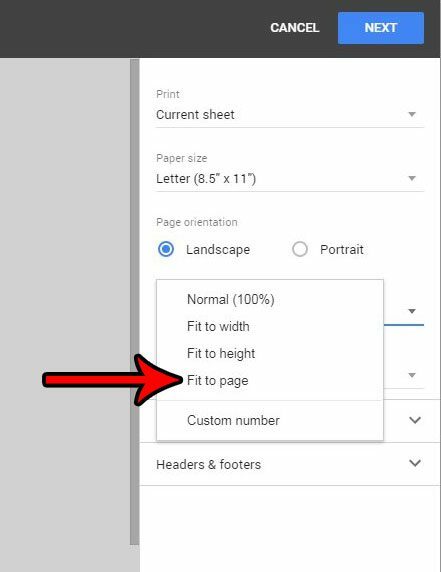 However, you can also elect to fit the page to the width of the sheet, or fit it to the height of the sheet if it’s making your data too small. Step 1: Sign into Google Drive and open the Sheets file that you want to print on one page. Step 2: Click the Print button in the toolbar above the spreadsheet. Step 3: Click the dropdown menu under Scale at the right side of the window. 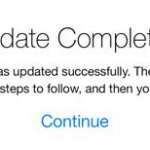 Step 4: Choose the Fit to page option. If you only want to fit all of the columns on one page, then choose the Fit to width option. 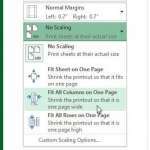 If you want to fit all of your rows on one page, choose the Fit to height option. Step 5: Select the Next button at the top-right of the window, then complete the print job. Do your Google Sheets printouts often get mixed up, making it difficult to tell which sheet is which? 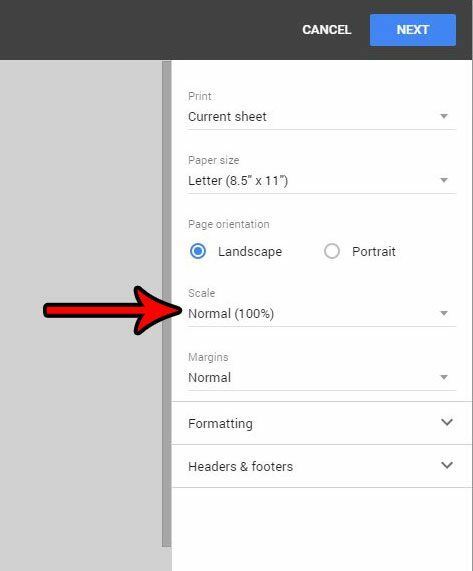 Find out how to include the document title at the top of your printed pages and make your spreadsheets easier to identify when you are looking at them on paper.